Preschool is a magical time for learning! Children between the ages of three and six are filled with wonder and excitement about the world around them. During these early years their brains are developing more rapidly than any other time in their lives! You see their eagerness to learn in the way they observe everything around them and ask questions. This is the perfect time to introduce them to school and give them a life-long love for learning. The question is… How do you find a quality preschool that will truly nurture this important time in your child’s life? 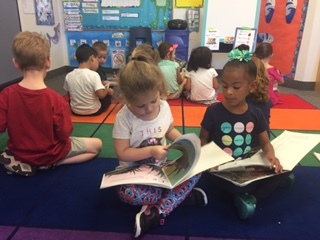 Here at The Iliad Academy Preschool in Buckeye, Arizona, we believe there are several key factors to consider when enrolling your child in preschool. As a family, it’s important to decide which factors are most important. Once you have an idea of what your budget and schedule allow then it’s time to start researching online and booking some tours. A school’s website will offer a great deal of information about the staff and curriculum. Take some time to understand the school’s philosophy as it will impact how the curriculum is implemented. There are many schools that are play-based, some that advertise as STEM schools, others that are faith-based, and the list continues… read about the curriculum so you can ask specific questions about how those ideas are applied in a real classroom environment. It’s great to have science experiments but what does that look like in a room filled with three year old children? How does the school handle any behavior concerns? A Director at a quality preschool would be able to explain how that happens at her school without any hesitation. At The Iliad Academy we believe in the Love and Logic approach to classroom management. We also use the Preschool Core Knowledge Curriculum. 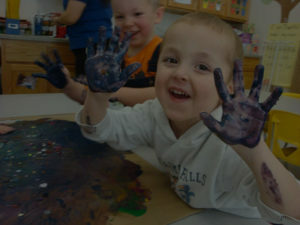 Please feel free to explore our curriculum on our website at: https://iliadpreschool.com/preschool-curriculum/ or contact the school to find out more about our program. Now you’re ready to tour potential schools! Visiting a preschool is a gift! You personally witness an environment created for the sole purpose of: nurturing a positive learning experience, fostering friendships, and promoting kindness. An environment tailored for the inquisitive minds of three to six year olds. Keeping that idea in mind, it’s important to look for some important key elements. Are the books, toys, and learning tools available at a child’s height? When you look around the room, does everything appear clean and organized? Look at the playground and the equipment being offered to the children, is it age appropriate? Now that you know the school’s philosophy, find out what the classroom plan is if your child is having an emotionally difficult day. How is your child supported while still allowing learning to take place? Take time to find out how music and other specials are integrated into your child’s day. Find out how you can help your child prepare for their new environment. Discuss the ratio of students to teachers in the classroom. Take your tour as an opportunity to walk through the school like your child will. Hopefully, by the time you have left the school you will have all your questions answered and feel confident about enrolling your future preschooler. Once you have found the right school you can start emotionally preparing your child for her first day. Discuss a drop-off ritual, pick out a lunch bag and water bottle, and talk about the activities your little one will enjoy when in school. Preschool is one of the best gifts you will give to your little one. You have done all the hard work looking for the right school, now, enjoy the rewards of watching your child grow.